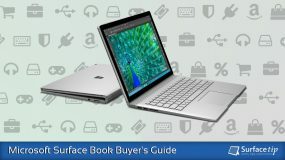 Surface Tip | Page 2 of 17 | Everything about Surface related news, tips & tricks, and reviews. Having trouble with your Surface devices and want to get support from Microsoft? Here is the quick and easy way to check your Surface's warranty status before you request support. 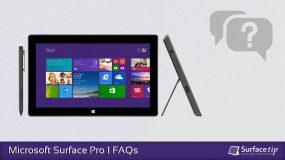 Microsoft Surface 3 FAQs: Everything you need to know! Looking to learn more about Microsoft Surface 3? 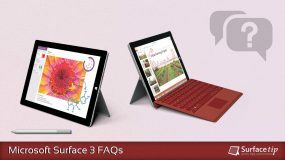 We've got you covered, here are our comprehensive Microsoft Surface 3 frequently asked questions that should clear up all your queries. 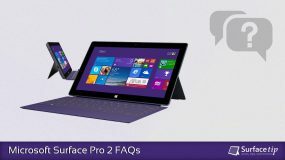 Microsoft Surface Pro 2 FAQs: Everything you need to know! Looking to learn more about Microsoft Surface Pro 2? 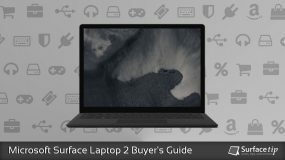 We've got you covered, here are our comprehensive Microsoft Surface Pro 2 frequently asked questions that should clear up all your queries. Surface Pro 3 FAQ: Everything you need to know! Looking to learn more about Microsoft Surface Pro 3? 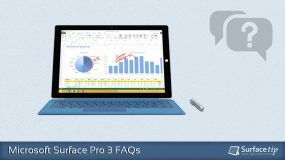 We've got you covered, here are our comprehensive Microsoft Surface Pro 3 frequently asked questions that should clear up all your queries. Surface Pro 4 FAQ: Everything you need to know! Looking to learn more about Microsoft Surface Pro 4? 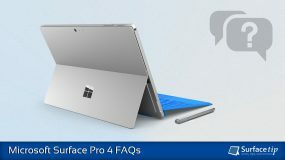 We've got you covered, here are our comprehensive Microsoft Surface Pro 4 frequently asked questions that should clear up all your queries. Surface Pro 5 FAQ: Everything you need to know! 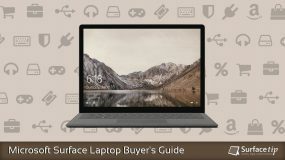 Looking to learn more about Microsoft Surface Pro (2017)? We've got you covered, here are our comprehensive Microsoft Surface Pro 5 frequently asked questions that should clear up all your queries. Are you looking for a great bag for your new Surface Pro 6? Check out here for our best-picked Surface Pro 6 bags, backpacks, and messenger bags we think you love. 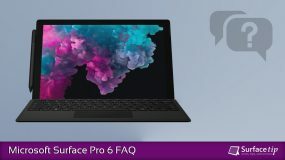 Surface Pro 6 FAQ: Everything you need to know! Looking to learn more about Microsoft Surface Pro 6? 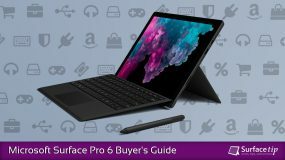 We've got you covered, here's our comprehensive Microsoft Surface Pro 6 FAQ that should clear up all your queries. 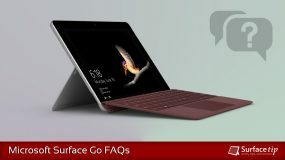 Surface Go FAQ: Everything you need to know! Looking to learn more about Microsoft Surface Go? We've got you covered, here's our comprehensive Microsoft Surface Go FAQ that should clear up all your queries. In this article, we will record and analyze the charging behavior of different types of USB-C with Power Delivery chargers. 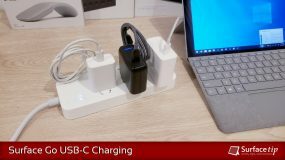 You will see how fast you can charge your Surface Go with USB-C PD power adapters. In this tutorial, we will show you the 6 fast and easy ways to take a screenshot on Microsoft Surface Pro by using the hardware buttons, keyboard, Surface Pen, and built-in Windows tools. 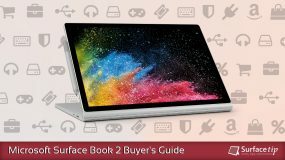 Need to gear up your Surface Book 2? Here we have covered everything you need to know about buying the best accessories to power up your Surface Book 2. Need to gear up your Surface Laptop 2? Here we have covered everything you need to know about buying the best accessories to power up your Surface Laptop 2. Need to gear up your Surface Laptop? Here we have covered everything you need to know about buying the best accessories to power up your Surface Laptop. 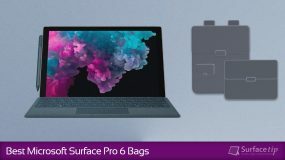 Need to gear up your Surface Pro 6? Here we have covered everything you need to know about buying the best accessories to power up your Surface Pro 6. Need to gear up your Surface Pro 5 (2017)? Here we have covered everything you need to know about buying the best accessories to power up your Surface Pro 5 (2017).